We ADORE glow in the dark activities in our house, especially at Halloween time! There is something about the “magic” glow that seems to calm my boys and they seem to suddenly play quietly as they seem so in awe of it all, so I find it is a good activity to do after dinnertime if they get time before bedtime. It can be quite calming and is obviously an activity that is best done at night-time when it is dark! We even wrote words with them! Tonic water contains quinine which has a fluorescing reaction underneath a black light, personally I recommend using a tube black light for the best and brightest glow, but we just used a lamp we had with a black light globe that you can get from supermarkets or hardware stores. 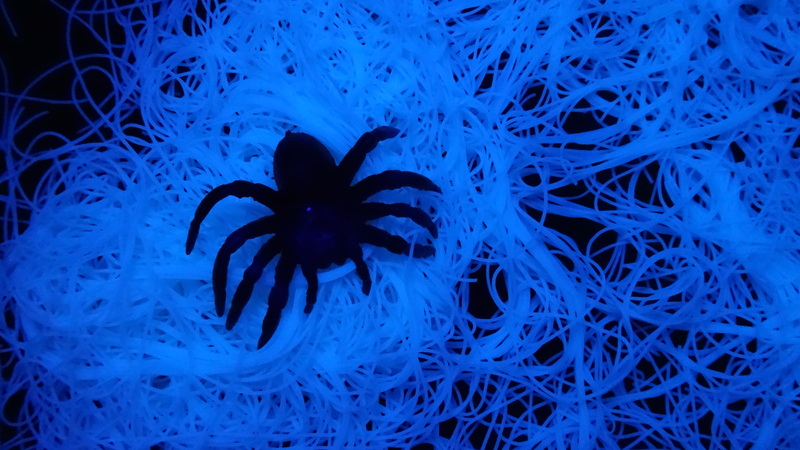 A black light globe or tube black light. 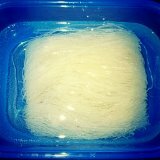 Thin vermicelli rice noodles (as many or as little as you like). Tonic water (enough to cover all of your vermicelli noodles to soak in). A bowl to soak your noodles in. A black surface for the children to play with the noodles on looks the most effective (we used our black bench top and also a back tablecloth the next time we used them). They looked so cool against the black background! You could use a black granite bench top or a black tablecloth or anything else suitable you have as a background. Fill a container/dish with enough tonic water to cover your thin rice noodles. Let them soak for several minutes until they are hydrated and move loosely (about 15 minutes). Soak the Vermicelli noodles in tonic water for around 15 minutes. Drain them or blot them dry on a paper towel and they are ready. 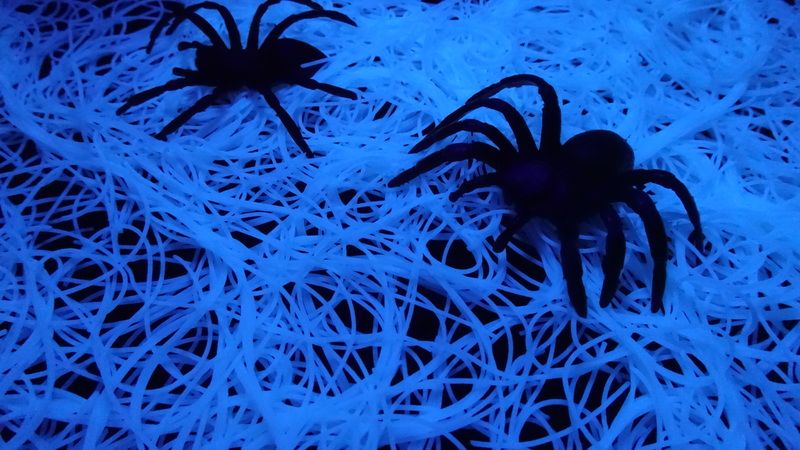 Put the noodles on your black surface with some plastic spiders and have some glow-in-the-dark, sensory fun! The spiders looked so creepy in the glowing webs in the dark! Although these are technically “edible”, they are not intended to be used as a meal or as food. If you think your baby/toddler would actively eat this, I suggest waiting until they are a bit older for this sensory play. My kids mostly don’t taste anymore, so we were okay with it. As with anything posted here, always do what you believe is best for your little ones. They looked so great on the black tablecloth! We had sooooo much fun with this activity, it is great for fine motor practice too as the threads of the noodles are so thin and slippery that it took quite a bit of dexterity to pick them up and grip on to them! It can be a little messy, but is very easy to tidy up, we just did it over a surface that was super easy to clean up, so it wasn’t stressful if they dropped any little threads outside of the surface that we were using. Remember the closer your light is to the spider webs, the better they will glow, so a lamp on a table nearby is best for this activity! Hope you enjoy this one!! We certainly did!! 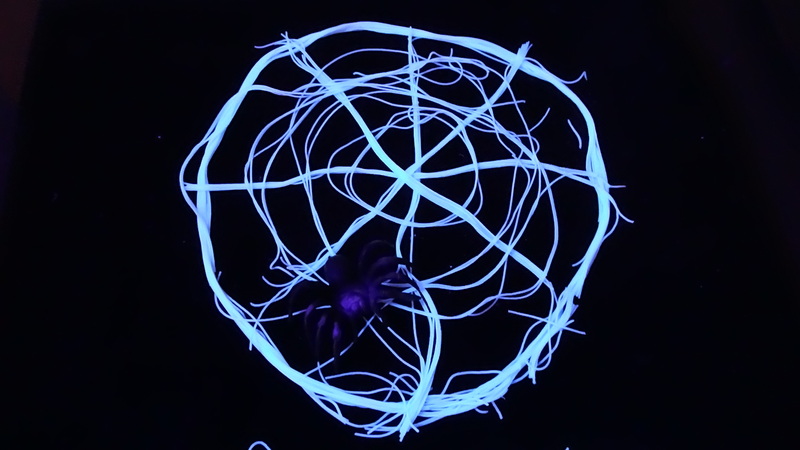 This entry was posted in Fun for Kids, Holidays and Special Days and tagged black light, edible glow in the dark spider webs, glow in the dark, quinine, spiders, tonic water, vermicelli, webs. Bookmark the permalink. ← Glow in the Dark Edible Jelly Eyeballs!